April | 2011 | Ipoh Mali Talak Sombong! 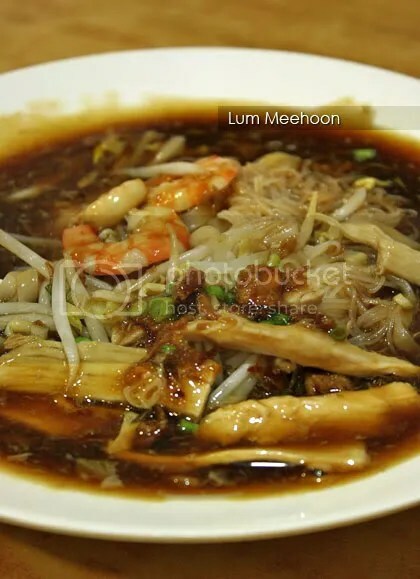 Continuing on my DU Project, today’s highlight is MKP Lum Mee. 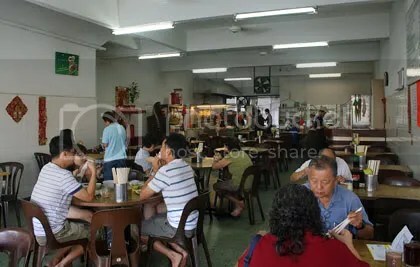 Branch out from their original outlet at Pudu, MKP Lum Mee has been in business for four decades. 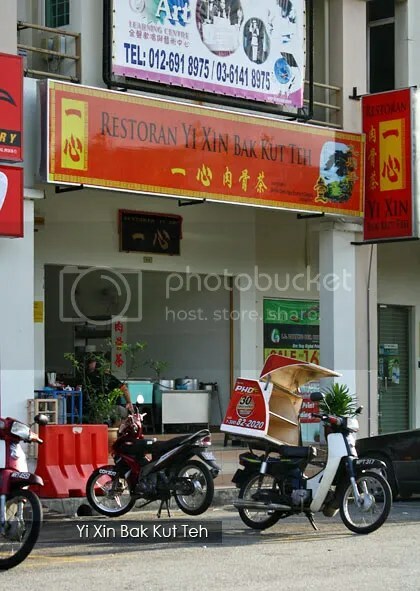 This particular outlet in Damansara Uptown is popular with the lunch crowd – it’s impossible to get a table if you’re here in between 12.30pm – 1.00pm. As usual, parking on weekday is a major headache here, so it is advised that you come on a weekend morning instead. Alright, so we did try their lum mee (thick yellow noodles in dark, starchy gravy) which was rather average. 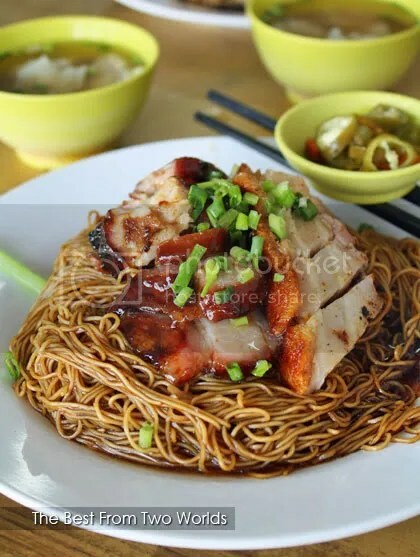 You can substitute the yellow noodles with meehoon or rice vermicelli or kuey teowas well. Portion is rather small, with one or two butterflied-prawn and some chicken slices thrown in. Their dry noodles fares slightly better on the taste department, probably due to the sauce they use. Ingredients-wise, it is the same as the above. Their curry laksa, however, managed to stand out from the crowd scored rather high marks among my colleagues (a.k.a. DU Project gang). While some rant that the curry is rather mild, those who can’t really take spicy food enjoyed this immensely. Served with poached chicken, some taufu puffs, long beans and cockles, their curry laksa perhaps is their best dish here. If you need some side dish, they have beancurd rolls (fu chuk), sui kow (soup or fried meat dumpling), pork and fish balls too. More information from Chialat Foods and You Are My No.1. Erm… did the title catch your attention? We stumbled upon this place by accident on one Sunday (or was it Saturday?) morning as we were looking for a place to have breakfast. I did not bring my camera along during the first visit, but we instantly felt in love with their wantan mee, the succulent barbequed pork (char siu) and roast pork (siew yuk). A second visit was paid not too long after that, this time armed with my camera, of course. 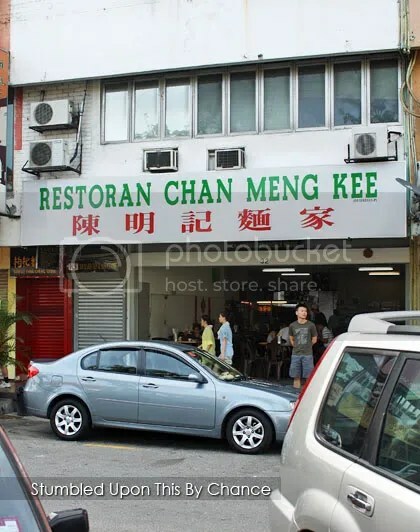 A quick Google search revealed that this place was previously occupied by the infamous Ho Weng Kee, but have since stopped the business and now, taken over by a wantan mee stall from Section 17 (info from Masak-Masak) and has been renamed to Chan Meng Kee. 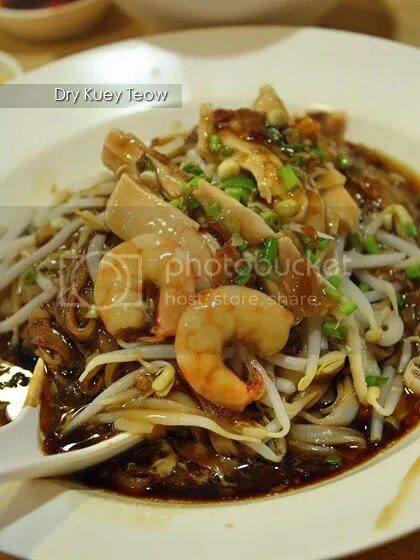 So, how does the food here, especially their siew yuk and char siew fares? 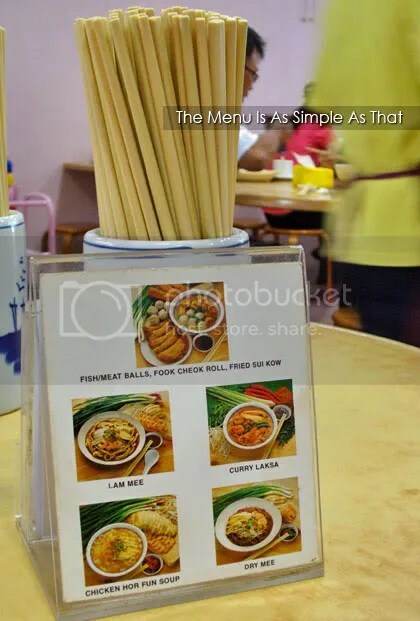 The first thing that struck me when the wantan mee arrives, was the presentation. Although using white melamine plate, there is no single smudge visible on the side of the plate. 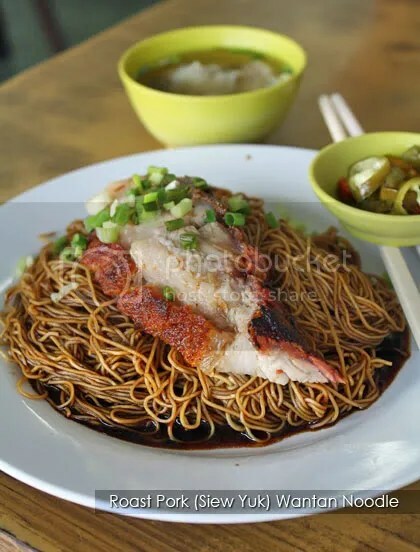 The noodles is carefully “arranged” in a circular motion, with chunks of siew yuk or char siew perching comfortably atop the noodles and garnished with a sprinkle of chopped spring onion. The noodles has a really good texture and balance in between springy and tenderness and this is further enhanced by the dark sauce and lard crispies! 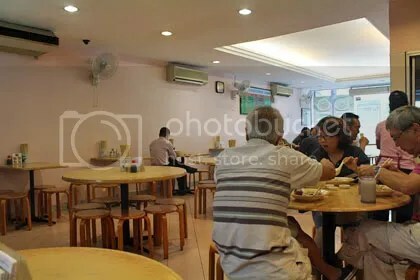 We actually sat very near to the open kitchen and watched the cooking process; a lady will blanch the noodles in boiling water, pass them to her foreign worker assistant who will mix them with the seasoning and carefully place them on the plate, before the meat are added on it. The meat on the other side, you can choose from siew yuk, char siew, roast duck, shredded chicken, pork ribs, chicken feet with mushroom, wild boar curry (subject to availability) and so on. We tried both their siew yuk and char siew and it was the siew yuk that wow-ed us to keep going back. Although their char siew is good, I find the cuts are quite fatty to my liking but tastewise, it has a pleasant smoky aroma to it and really fork-tender. The siew yuk on the other had, never ceased to amaze us with its crispy skin and succulent, fork-tender meat (almost to the extend of melt-in-the-mouth sensation) that will make pork lovers screaming in ecstasy. The wantans however, are forgettable. Prices starts from about RM5.50 for single portion noodles and increase according to portions or how many types of meat you order. On out third visit, we noticed that they have changed the tables from wooden round and rectangular tables to rectangular stainless steel tables. Business is still brisk, especially in the morning. 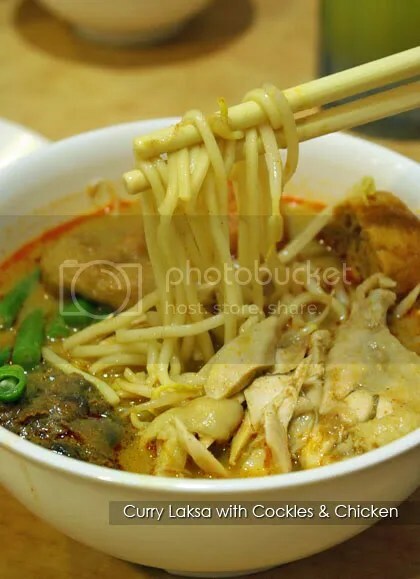 Other than wantan mee, they also have ngau lam mee (beef brisket noodles) and curry noodles but I would really like to try their wild boar curry one day. Business hour: 8am to 3pm daily except Mondays. Read also Mimi’s experience HERE. It was few months ago, when I wanted to use my voucher (got it by spending RM50 at any participating restaurants such as Salad Bar, not sure if the promotion still ongoing) on that fine morning for breakfast, so we were at Kota Damansara. Aunt Lucy (or was it Aunty Lucy?) was on my mind, but unfortunately, they were not open for business yet that morning! And as fate has decided, Calvin immediately spotted Yi Xin BKT few doors away from our original destination, therefore we ended up here instead. 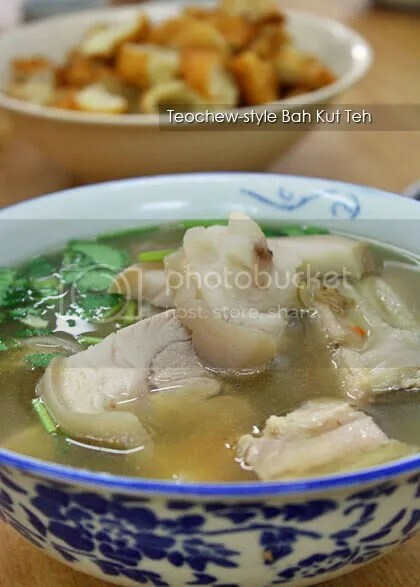 For most people who’re accustomed to bak kut teh in dark broth and stronger herbal flavour, you will be disappointed here as Yi Xin serves Teochew-style bak kut teh. The broth was concocted from Chinese herbs (wolfberries were spotted in our bowl), therefore it yields a milder taste. The soup is just slightly murky from the herbs, not as greasy as the usual dark broth version and minimal soy sauce was used. The thing that doesn’t change here is you still can choose your preferred cut or part of the meat. 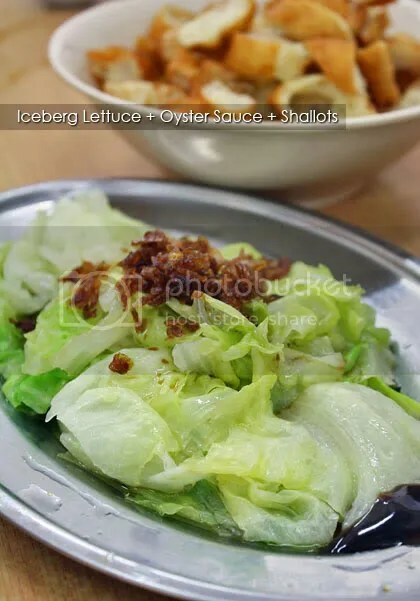 If you need some greens to compliment your meal, they also serve blanched vegetables with oyster sauce and shallot oil. Again, the oyster sauce used was light in flavour – good news for those who doesn’t like strong tasting sauces. 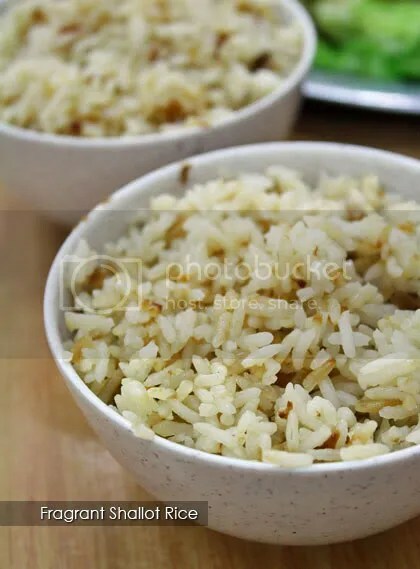 I like their rice though, they were mixed with a bit of soft fried shallots and oil, lending the rice a nice fragrance.